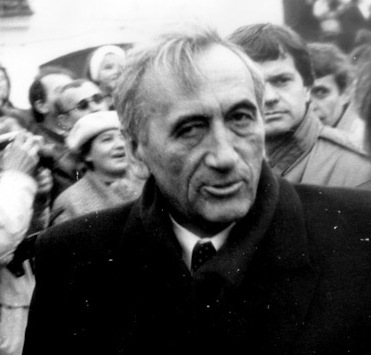 Tadeusz Mazowiecki, the first democratic prime minister of Poland, elected after decades of Communist rule, died on October 28. In a widely popular weekly satirical puppet TV show, The Polish Zoo, which aired in Poland at the beginning of the 1990s, Mazowiecki was a turtle: sluggish and wise. (Among other central political figures were Lech Wałęsa, the president of Poland, as the lion, and a key post-Communist figure, Leszek Miller, as the spider.) Easily recognizable for his slow manner of speaking, Mazowiecki quickly became the symbol of peaceful, and rapid, democratic change. In the country where I grew up, the Netherlands, Saint Nicholas’ yearly visit is a hugely popular celebration, rich in rituals and designed to make children happy. Three years ago, the celebration came to New York, where I now live. It seemed only logical to expose my half-Dutch children to this cherished tradition. 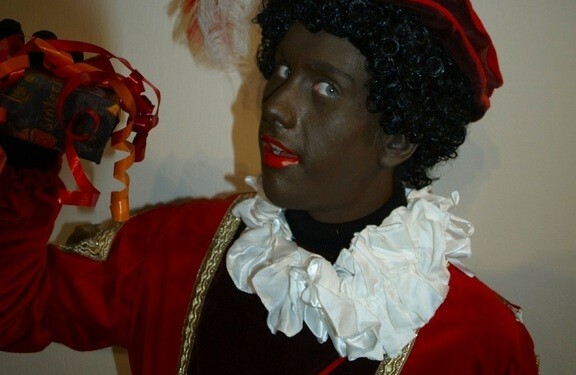 All had been peaceful at the Netherland Club until a number of black-faced minstrels came out of nowhere, ramming on doors and throwing candy into the room. My three year old ran out of the room in utter fear, settling in a hiding spot, somewhere under a table in a closet with the doors closed. The show of well-intentioned fun by a bunch of guys in funny suits, donning afro-wigs and red painted lips was completely lost on my son, forcing me to reconsider the meaning and symbols of the tradition. We are used to thinking that human rights are rights that belong to every person because of their intrinsic value. But is this the only, or at least, the best way of thinking about human rights? 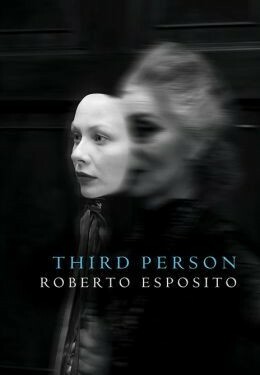 In his recent book, Third Person, Roberto Esposito has radically challenged this view. According to him, the triumph of the category of “the person” that, since the end of World War II has accompanied the discourse on human rights, is not the source of its success, but rather of its failure. 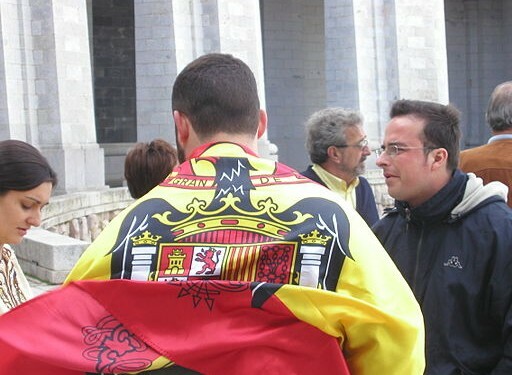 This is because, in his view, the notion of the person, which has, since the days of Roman law and even more pointedly in its Christian elaboration, indicated the transcendent value of a human being, is incapable of bridging the gap between humanity and the logic of citizenship, precisely because it is what creates such a gap. 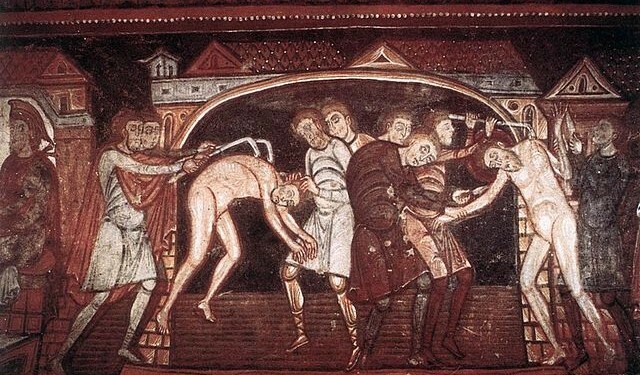 By opposing the person, as something artificial and endowed with moral and political significance, to mere humanity in its naturalness, Roman law gave rise to a powerful “dispositif” (p. 9), that is, to a notion that has, throughout its various Western morphologies, always been able to produce very real and tangible effects. A prominent political theorist, Judith Shklar, once said that the rule of law has become “a self-congratulatory rhetorical device”  used by the politicians, who try to legitimize whatever they do just by uttering the word “the rule of law.” I think we can say the same thing for democracy as well. 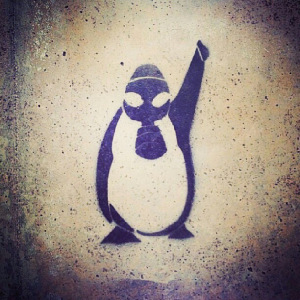 In Turkey, every political party aims for democracy. Even the military suspended democratic politics with the claim of saving it. The Gezi protests are accepted as an instance of democratic politics, and Erdogan sees himself as the gatekeeper of democratic politics allowing no one in. What I am trying to do here is to provide a perspective from which we can analyze the AKP (the Justice and Development Party) and its relation to democracy on the one hand, and the impact of the Gezi, on the other. In doing this, I will draw on three thinkers and their ideas of democracy, namely Carl Schmitt, Claude Lefort and Jacques Ranciere. Unexpected or amusing experiences on the NYC subway are all but infrequent for those who travel every day, in jam-packed trains, from one corner to the other of the city. But, the biggest shock I have had in my three years of using NYC public transit was a few months ago when, jumping onto a train at the last second, I saw the most incredible poster: It was a picture of a crying toddler of color with the words, “Got a good job? I cost thousands of dollars each year.” While I was still recovering from the shock, my eyes fell upon a similar poster of a little Black girl that read, “Honestly Mom… chances are he won’t stay with you. 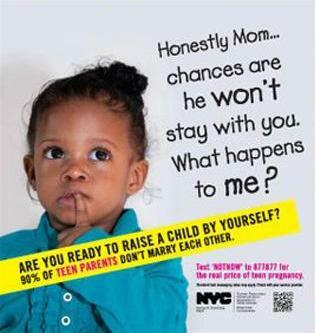 What happens to me?” As I soon found out, these two posters were part of the Teen Pregnancy Prevention campaign organized by the Human Resources Administration of the New York City Department of Social Services and strongly supported and defended by the mayor Bloomberg. This advertising campaign is a perfect example of the entrenchment of inequalities around class, race, and gender, and on the way they are covered up by a discourse appealing to personal responsibility. Indeed, the message conveyed by the campaign is, firstly, that you need to have money in order to have the right to have a child. If you are poor and nonetheless have a child, you are responsible for his or her future unhappiness, poverty, and social failure. Moreover, poverty is presented as the outcome of teenagers’ individual reproductive choices rather than being presented as the concrete material condition in which they are already living and are compelled to make their choices. Secondly, in the posters there is no mention of social services or of abortion rights. The whole problem of teen pregnancy is reduced to a matter of individual choice, where girls are to be considered responsible for their sexual behavior. As a consequence, the communicative tactics of public shaming is consistently resorted to. Can Europe Learn from Latin America about History and Justice? This lecture to the New School’s General Seminar was originally published on the above date. Given the recent revelations concerning the CIA’s program of torture, we are highlighting Bernstein’s reflections today, Dec. 12, 2014. -J.G. 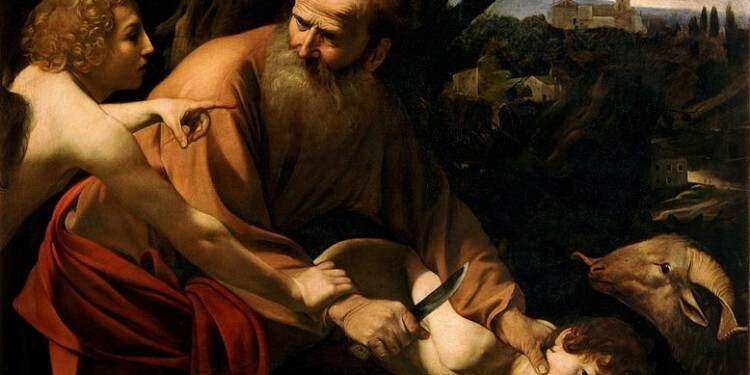 The Binding of Isaac, Akedat Yitzhak, continues to serve as a background for discussions of religion, politics, art and philosophy. This concise Biblical narrative, only 19 verses in length, has managed to set a model for thinking about obedience and sacrifice, secularism and politics, art and philosophy—and more. In the recording below, Yael Feldman (Literary Criticism/Hebrew Studies, NYU), James Goodman (History/Writing, Rutgers), Jay Bernstein and I meet to discuss our different perspectives on the story. 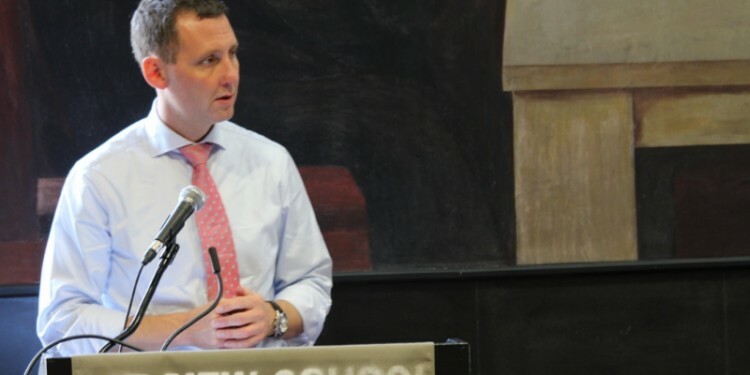 The following is the prepared text of the speech given by Minister Haekkerup on September 28, 2013, at The New School, with an introduction by William Milberg. The word “capitalism,” describing our market-oriented economic system of wage labor, private ownership and the endless drive for wealth accumulation, was invented in the 19th century. For the last part of the twentieth century, “capitalism” was a dirty word. It alluded ever so uncomfortably to exploitation in human interaction and the unequal nature of modern economic society. The word capitalism was represented by euphemisms in economics –- “competitive equilibrium,” “pure competition,” or “monetary production system.” My late colleague Robert Heilbroner found that Gregory Mankiw’s popular textbook, Principles of Economics, a book over 500 pages long and first published in 1998, mentions the word “capitalism” just one time, and that occurs in a footnote. In 2013, we once again dare to speak the word. Why? 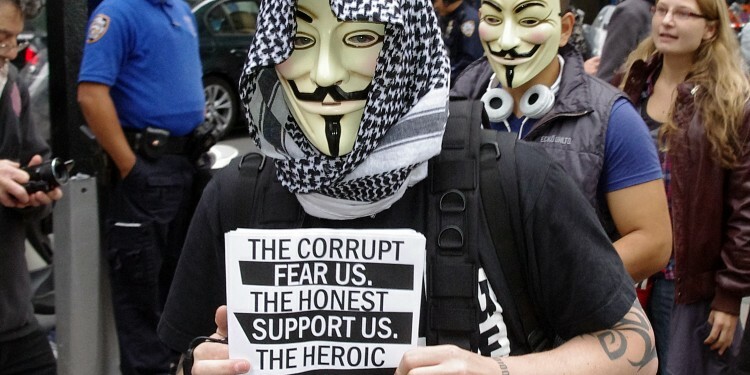 Because with the international financial crisis of 2008 and the economic stagnation experienced in much of the industrialized world since then, there is a palpable sense that the system is at risk and in need of scrutiny, as a system. Capitalism, it would seem, is back.